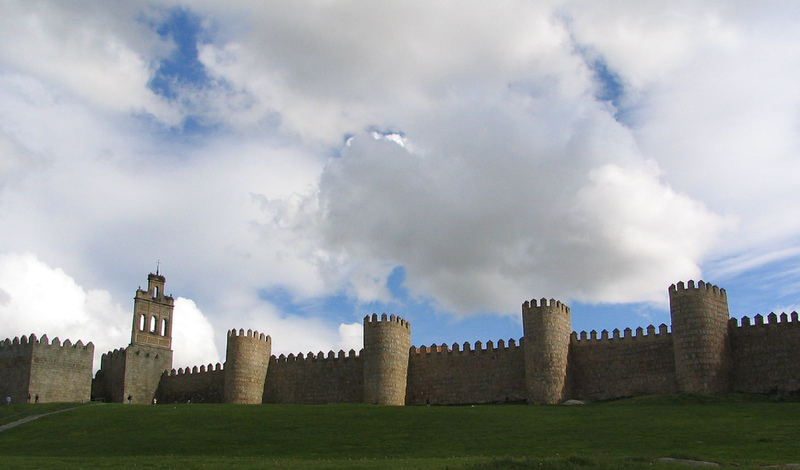 The Ávila’s Walls were built in the 11th century. The city was also listed in the UNESCO World Heritage Site for its preserved walls and churches. The city is located 3665 ft above the sea level. The main sites are built on the top of a hill. The city is surrounded by lofty mountains and the climate here is cool with short summers and long winters. The city covers an area of about 232 square kilometers and a population of 58,561. The medieval walls measure about one kilometer long, the walls are well preserved. The walls measure 3 meters wide with 9 entrance gates and 90 towers. The Gothic cathedral here looks similar to a fort and it features two solid towers. The cathedral was built between the 12th and 14th centuries and features a collection of sculptures and paintings from the year 1571. How high were the walls and why were they built?